This Pokémon can not have any Special Conditions or take damage. 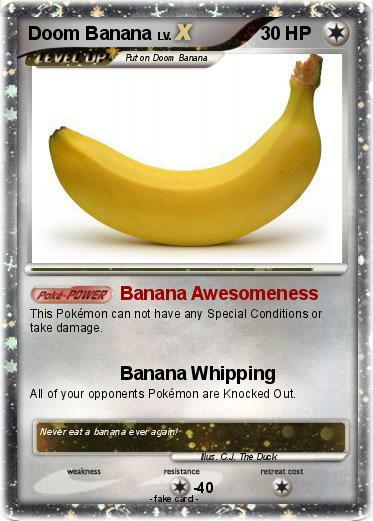 All of your opponents Pokémon are Knocked Out. Comments : Never eat a banana ever again!